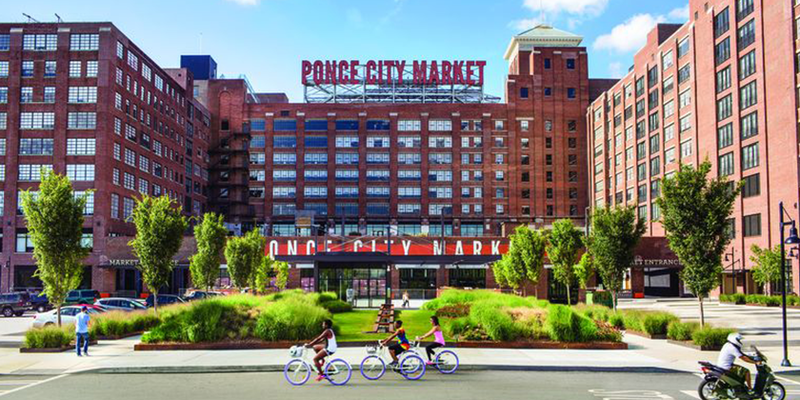 The visionary Ponce City Market project breathes new life into the historic Sears, Roebuck & Co. building in Atlanta. The classic structure, which is the area’s largest adaptive reuse project, has been reinvented as a vibrant community hub housing the Central Food Hall, various shops, flats and offices, all while pointing back to the roots of its inception. The market infuses vigor and excitement into this historically-signiﬁcant structure, located in one of Atlanta’s most cherished neighborhoods. IRG has been relied upon to provide roofing repair and maintenance services on the many roof elevations of the property. 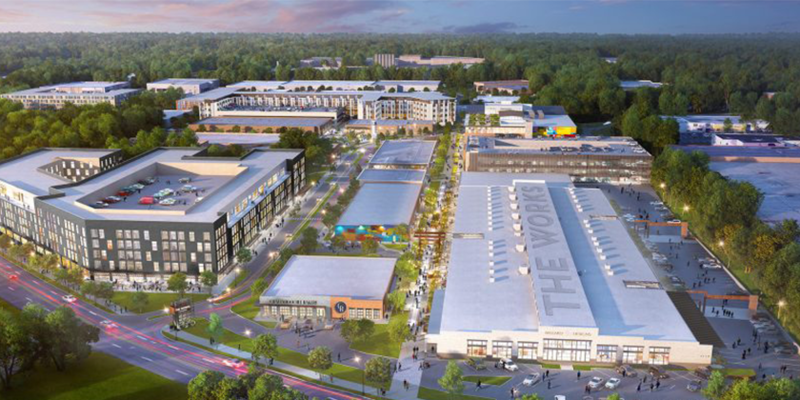 This urban adaptive reuse project on Atlanta’s Westside combines the best in boutique retail, fine dining and upscale residences. The district includes the redevelopment of the Westside Urban Market and White Provisions. Innovative Roofing Group’s latest engagement on the site included the re-roofing of the building at 1168 Howell Mill that houses lululemon athletica, Perrine’s Wine Shop and Yeah! Burger. A fully adhered 60mil TPO and all new metal package was installed. 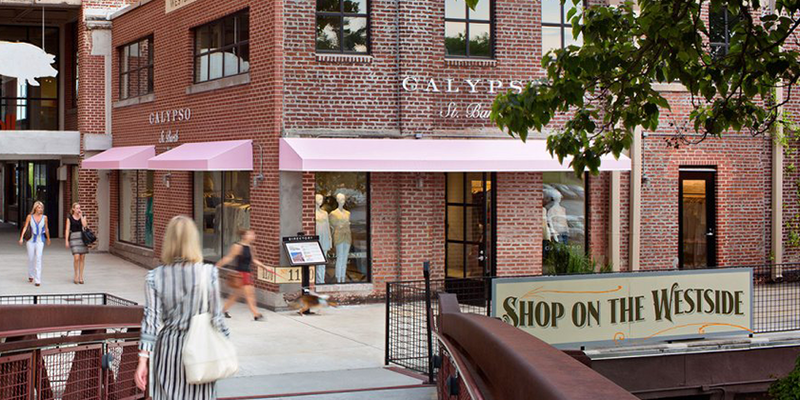 This ambitious adaptive reuse project on Atlanta’s Upper Westside is converting tired industrial space into a dynamic and eclectic mix of retail, restaurant and commercial space by Selig Enterprises. Innovative Roofing Group was selected to deliver the roofing scope, working for Dakota Contractors, LLC. The first phase of the project was a 60mil TPO recover of the retail centerpiece of the project. The design required the addition of considerable insulation to bring the building up to code. Why is my Commercial Roof Leaking?